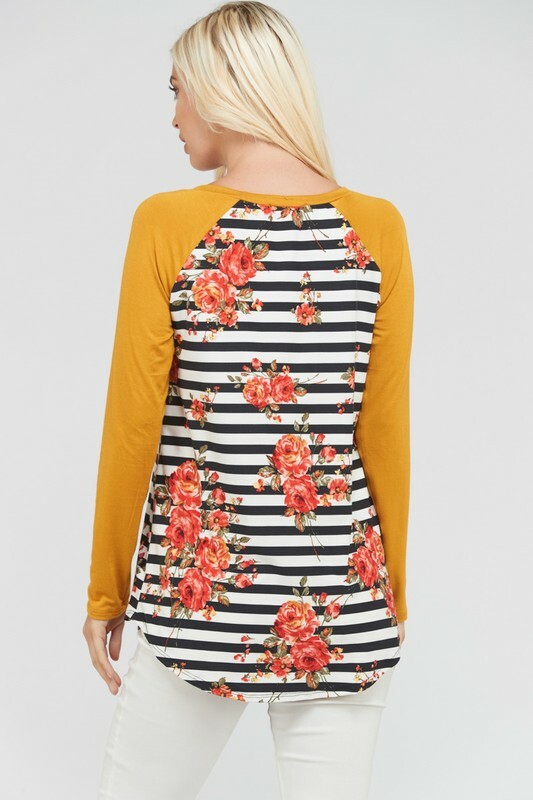 Black and white striped baseball top with floral print and solid contrast mustard sleeves. 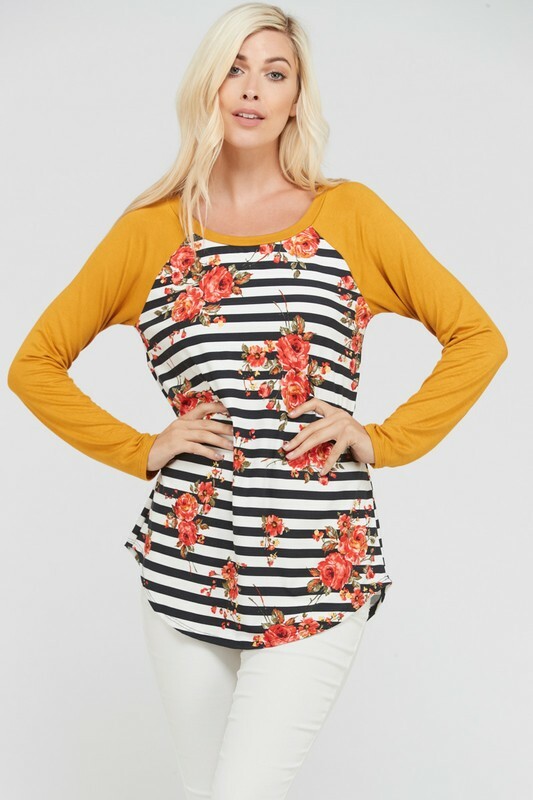 Stylish curved hem detailing and super soft fabric. Fabric: Self: 95% Polyester, 5% Spandex. Contrast: 95% Rayon, 5% Spandex.